At ElliptiGO, we like to push through that boundary of what everyone else says is “impossible” and wave to them from the other side. Whatever your fitness goals may be — no matter how humble, audacious, realistic or impossible they may seem — training on the ElliptiGO can help you achieve them. And we want to help you get there. We have developed full training programs for runners who cross-train on ElliptiGO and ElliptiGO riders who want to enter traditional cycling endurance events. 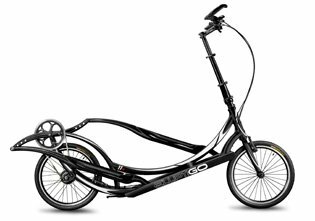 If you’re curious to know how to continue to train on your ElliptiGO when you can't ride outside, we have a stationary trainer for that. And, when you need a little inspiration to keep you going, you can read about some of our epic rides and the records your fellow ElliptiGO riders have been setting along the way.